← Valentine’s Day Weekend Part 3: A Simple Love Letter to Running. Depression Through the Eyes of a Runner. Today I want to talk a bit about something that hits really close to me. It’s not an easy topic, and it is painful, so if neither of those things sound bearable to you right now, instead look at this happy post of me travelling, but if you want to stay, I thank you for that and ask you please be gentle in your thoughts. I want to tell you a story about a girl, who was unsure, afraid, and not confident. A girl who hurt and didn’t understand the beauty of what it meant to live. I want to take you back two Augusts ago, the August of 2013 to set the scene. After a long summer at home working at my local Walmart, I returned to college sure of what I had to do. I knew I was being led by God to break up with my long term boyfriend and let go of that unhealthy relationship. After an unplanned discussion late one Monday night right before school started, I found myself single, lost, and lonely. After this night last August it began, the feelings of unworthiness, the disdain with myself, and the constant sadness. The relationship I had just ended was my life. Completely. For the past three years I was in constant contact with him, relied on him for all emotional needs, and allowed myself to be controlled by him. Like I said before, it was an unhealthy relationship, however I loved him and wanted to be accepted and loved back by him. I had put aside myself and focused on him so completely that now that I found myself alone and single I didn’t know who I was. For ultimately making the trajectory of my life a more positive one by ending this relationship, I was not feeling positive at all. I was feeling broken, hurt, and unworthy of love or acceptance. Because of this, I isolated myself. Not visibly but emotionally and mentally. In two weeks it felt as though I had cried out all the tears I could every cry. I was empty and alone and stopped being able to feel happiness. I went through my day to day motions trying to appear as though I had it together and knew what I was doing, but I truly had nothing together and hurt deeply. After feeling this way for a month, I realized maybe this was a deeper emotional problem than just heartbreak. I started searching the symptoms of depression and found I hit the nail on the head with most of them. Now that the stage has been set, let’s talk about it: Depression. Let me begin by giving a disclaimer, this is by no means a conversation meant to “fix you” or “treat you” or “diagnose you,” this is a conversation I want to share to open up a dialogue I think is necessary, a conversation I would love to have with you and explore with you. For me it meant being two different people, one while I was alone with myself and a completely different one when I was around others. It meant feeling deeply or not feeling at all. It meant hating myself and what I had to offer the world. It meant feeling empty and unimportant. It meant feeling unworthy of anyone’s love, especially Christ. It meant I could never be who I wanted to be or go where I wanted to go. I spent many a night awake, unable to sleep from dark thoughts. My life seemed hollow and dark, like a forest that had just been ransacked by a fire. The joy in life, the spark in my heart, and the brightness of a new day was lost on me. After fighting with myself for months, I decided I couldn’t do it alone and found a therapist to help me with the depression that came along with my loneliness and an eating disorder I had developed due to my insecurities and fight with loneliness and desire to be loved. But more on that another day. It took me a year, going abroad, and lots of work with a therapist, mentors, friends, family, and God to finally, by the grace of the Lord, be able to say, I am not depressed any longer. I don’t know if this post will speak to anyone out there, but I wanted to share a bit about my story to open a door, a door to a conversation I wish I had been able to have in September of 2013 instead of waiting, lonely and depressed. I just want to say I’m here. The Lord can do miraculous things if you will let him. Feelings are real, but we don’t need to be scared by them. 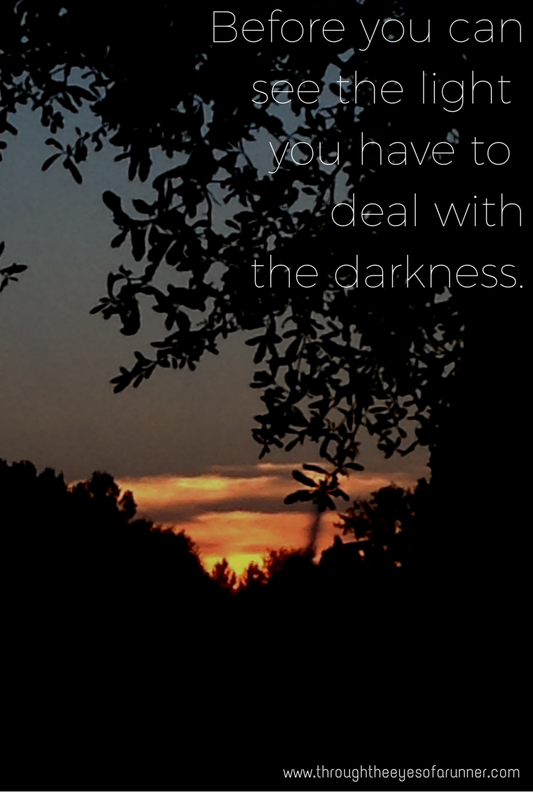 The light shines in the darkness, but the darkness has not understood it. John 1:5 Whether we understand or not, things are as they are. And as He wants them to be, for as long as He wants them to be. Thank you for being an inspiration. Your words always matter. I love you and your willingness to share so openly. Thank you. Thank you for sharing your story. I’m sure God is going to use you and your story to impact many people. This is my first time here, visiting from the Peony Project. Love what I have seen here so far!